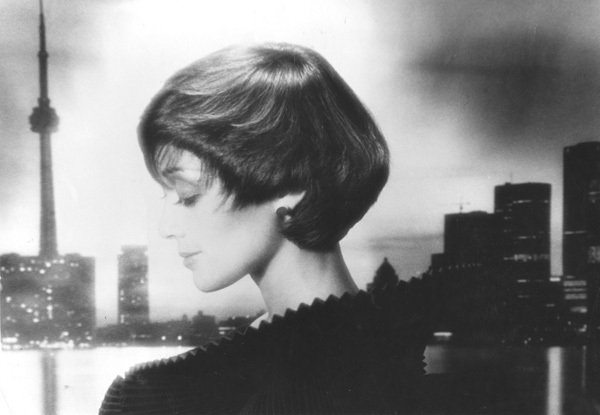 Home » Posts Tagged "Hair 1977"
Hair: Jerome Pinsonneault, La Coupe Toronto 1977 … Makeup: Electa & Corrado … Ruffles: Marilyn Brooks … Model: Mil Bastien … Background: CN Tower Toronto… Photo: Lorraine Sylvestre. Fashion Styling/Concept/Produced by Helen Oppenheim, who lived in Montreal at the time and spent six whole weeks in Toronto preparing for the opening. The Salon was on Yorkville, and we did take Toronto by storm, for a while. Anyone remember?